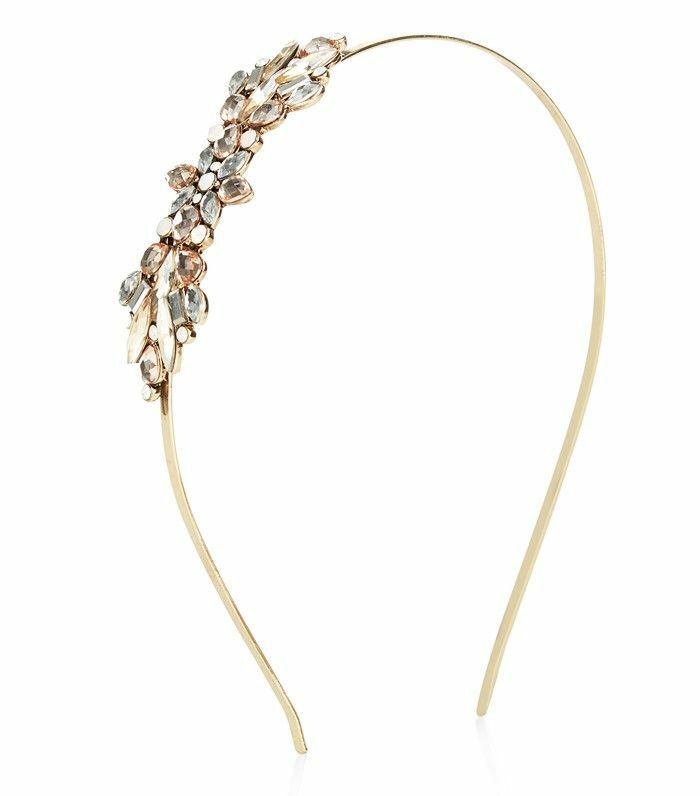 For those who are not hair accessory devotees, there are a few occasions each year when the thought of adorning your hair will become all too alluring. 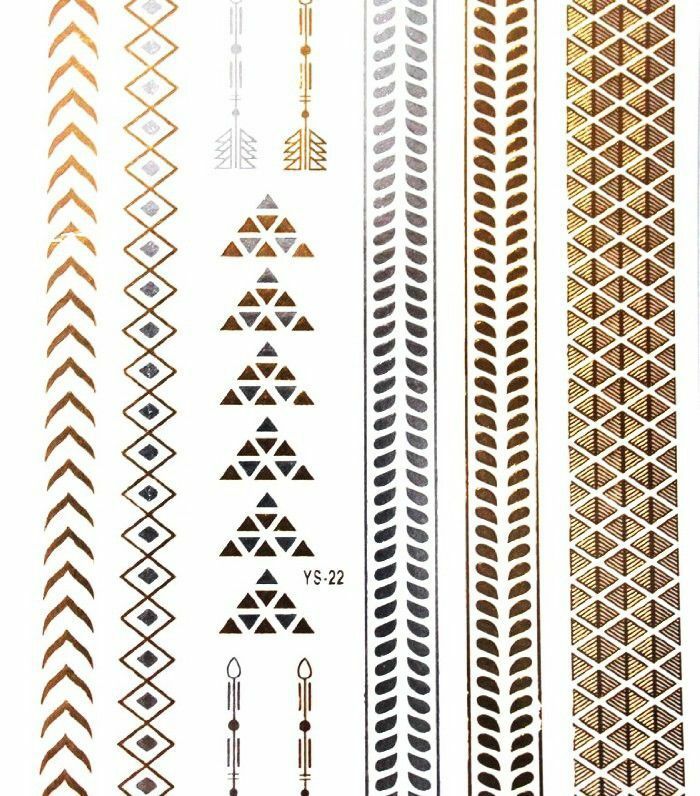 Weddings and festivals are the summer occasions, come winter it's Christmas and New Year that will have you drawn to the hair accessory section of our favourite shopping websites, like magpies drawn to gold. 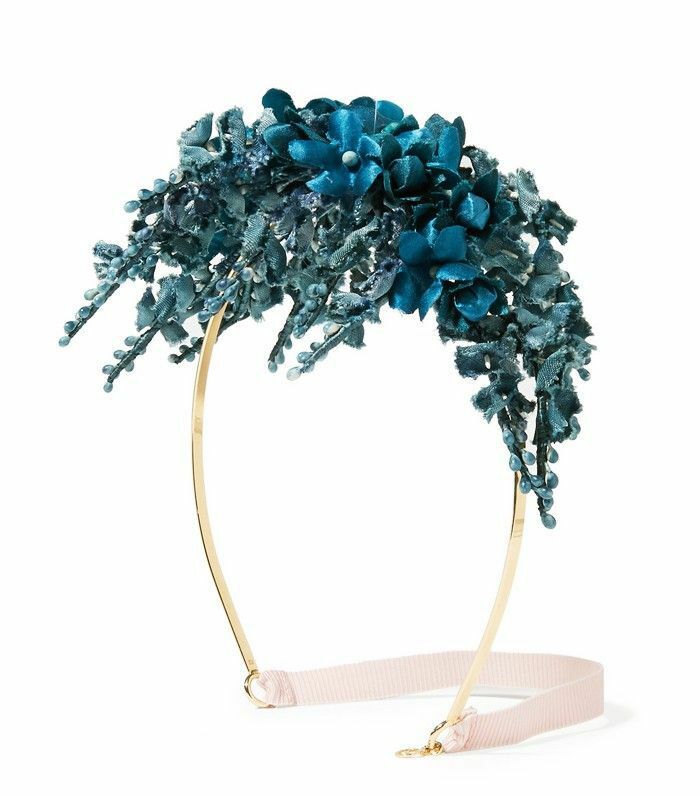 And forget subtle, the A-list prove that when it comes to hair accessories—for the most part—you go big or you go home. Keep scrolling to see how 10 celebrities accessorise their hair, and where to get the look now. Alexa keeps her makeup simple and her hair softly tousled which allows her to get away with the double whammy of a jewelled clip and drop earrings. Trust King Kylie to have her own take on the hair accessory trend. This gold hair tattoo looks particularly good on the reality star's dark hair. There are two ways you can re-create Julianne's pretty gothic look. First is with some strands of velvet ribbon and a couple of ornate hair brooches or with the Claire's Accessories hair drape below. Georgia has gone for a '40s look here with softly curled hair and the addition of a Gucci floral head piece. Keira shows you can do a jewelled hair accessory and keep it subtle at the same time. To stop it from looking too retro, she has kept her makeup pretty and natural—a super soft wash of brown on the eyes and a pink lip colour. Sure Amber could have worn her hair in a simple high ponytail, but by securing it to her head she makes the look something altogether more interesting. 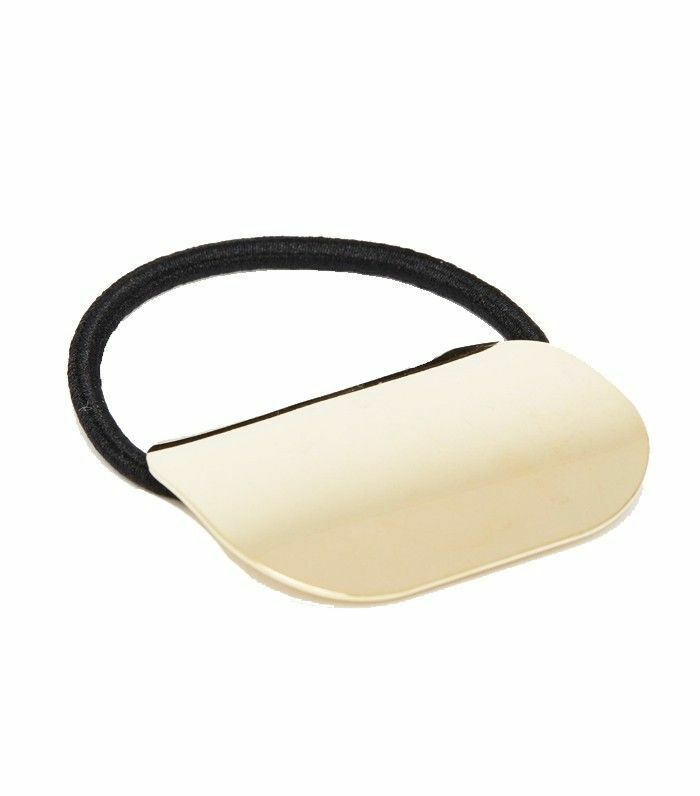 Use the ASOS hairband below by securing towards the end of your ponytail and then use kirby grips to fix in place. 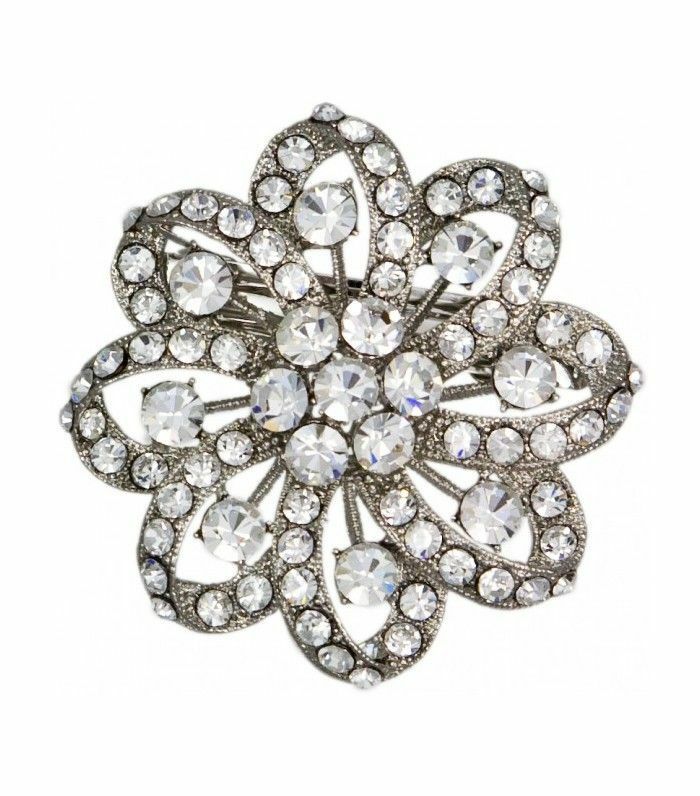 Kate elevates an off-duty topknot with this jewelled floral number. 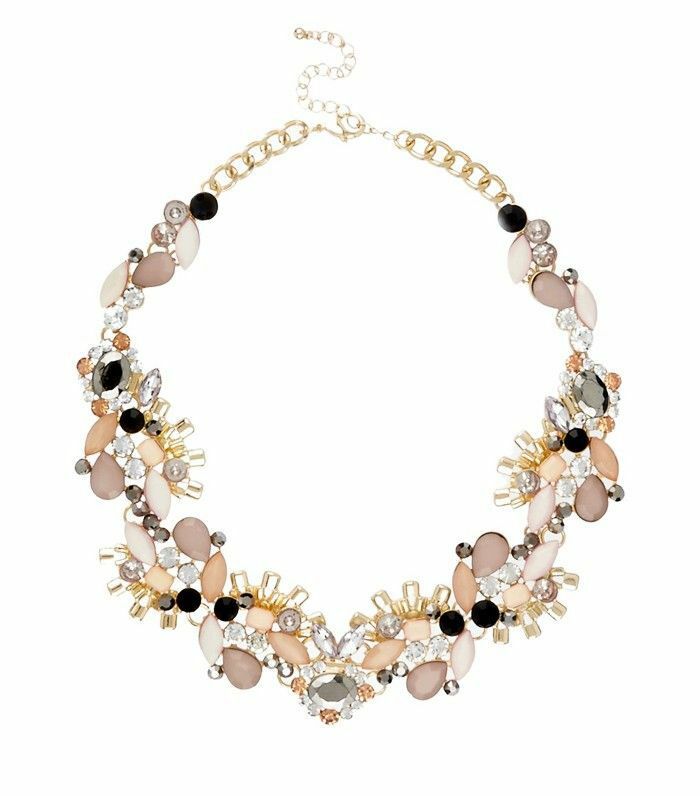 Re-create it with a statement necklace—yes really! Secure the extender on the chain under your bun with pins. Layer a couple of necklaces if you want a real statement look like Kate's. 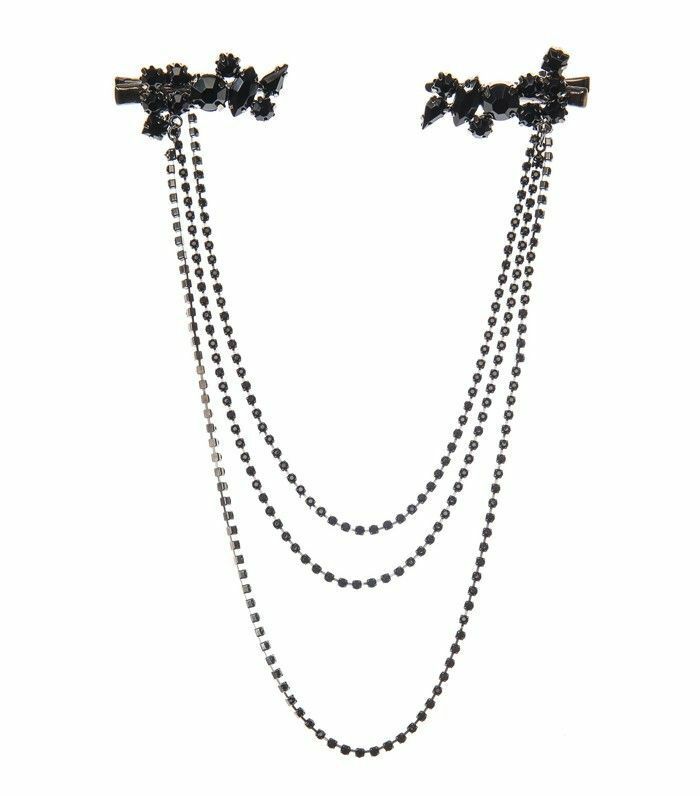 Hair accessories don't need to be fussy. 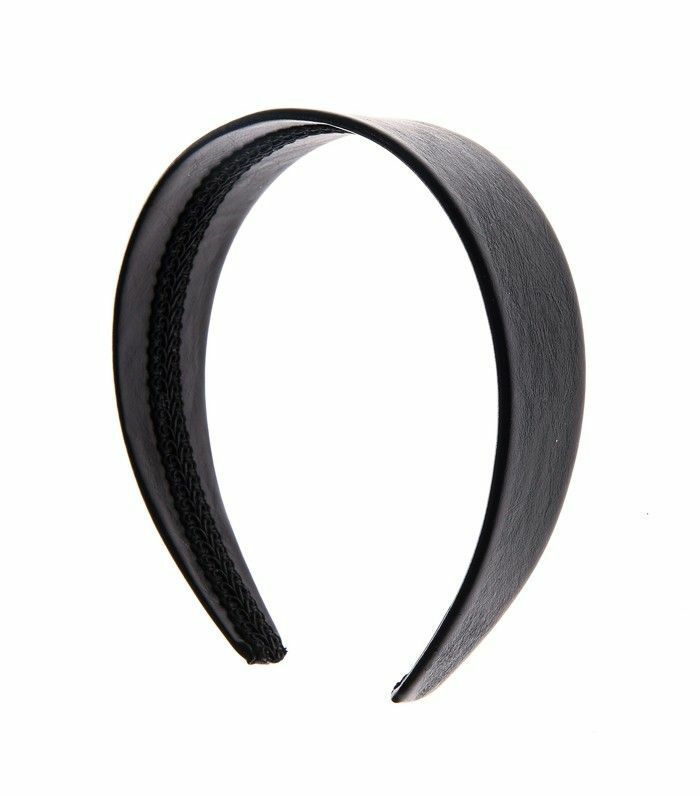 In fact, Olivia proves they can look incredibly modern with this thick black headband—the glossy, sleek centre-parting helps too. 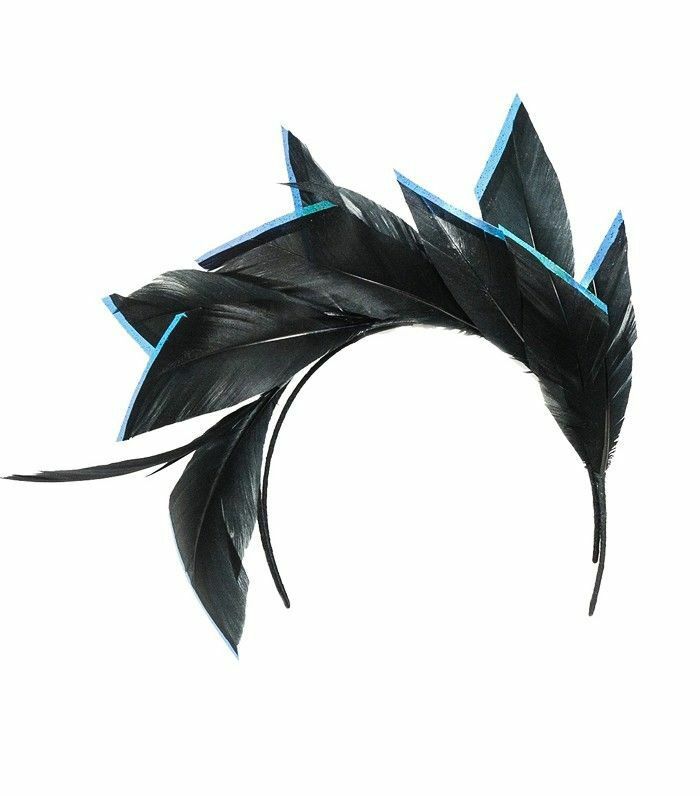 Hello statement headpiece! What makes it even more interesting is that Lupita has worn it right on her hairline. Love. 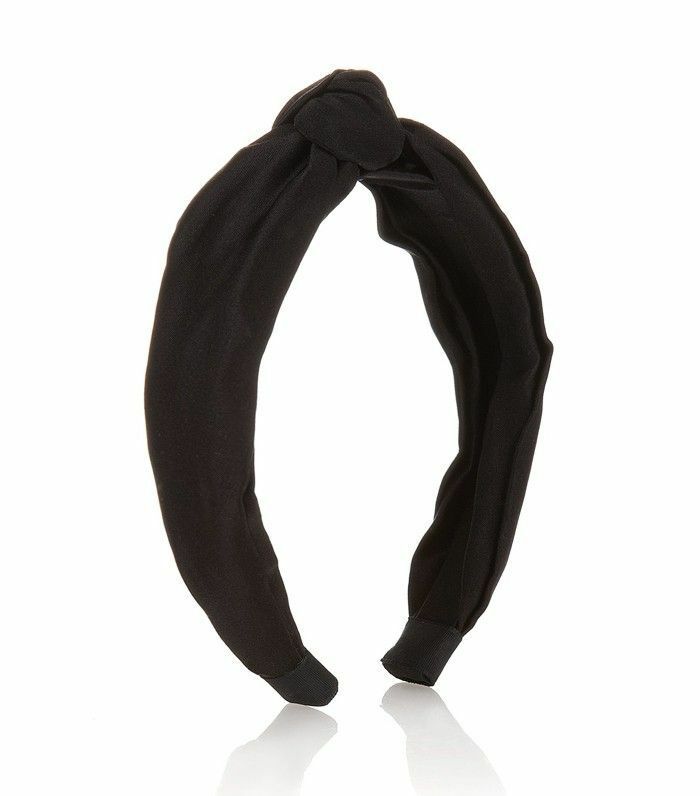 This knotted headband gives off the '70s feel of a turban, while the satin finish makes it totally party-appropriate. We love the matching navy winged smokey eye too.